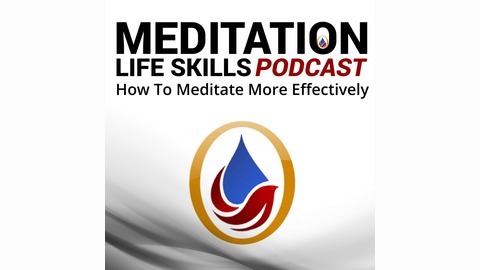 Learn How To Meditate More Effectively - Meditation Life Skills Podcast Learning how to meditate gives you the balance and peace of mind in your day to day activities that really do make for a better and more focused life. These short inspiring talks are very easy to understand and incorporate into your day. Also, learning about these meditation methods will give you a good start to build your meditation practice. Easy tools that will bring peace, joy, and relaxation into your life. Meditation is not a means to an end. It is both the means and the end. 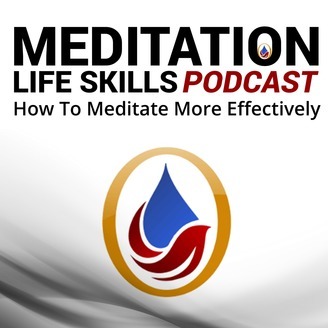 So, go ahead and pick an episode and learn how to meditate more effectively. Meditation allows us to directly participate in our lives instead of living life as an afterthought. You can learn how to meditate starting today! Why not now, why not you? To Your Success In Meditating! Don Weyant/Founder Learn How To Meditate More Effectively Go to MeditationLifeSkills.com. For those of you who don’t know what Theta waves are – they’re number ‘2’ of the slowest type of brainwave that occurs regularly in your brain. Theta waves normally surface when you’re experiencing potent emotions, including when you’re most creative or have heightened spiritual feelings. Binaural beats can help you experience your true self and feelings by using Theta waves in recordings designed especially to improve a behavior pattern or get rid of an addiction. There’s another brainwave called “Beta” that influences other areas of your brain. When you’ve been on Beta brainwaves too long, you might experience imbalances in your potassium and sodium levels. Your conscious level then experiences a lack of concentration and mental fatigue. Sodium and potassium levels can be reset when you experience Theta waves. These two minerals help transport valued chemicals in and out of brain cells. When these two important mineral levels are reset, you’ll feel refreshed, mentally relaxed and ready to focus on work or creative pursuits. Since we’re all different, many of us can delve into Theta states easier than others. Those who practice relaxation and meditation techniques on a regular basis are more likely to experience the many positive effects of Theta brain waves more naturally – and faster. It may also help to know that Theta waves are found in our brains when we experience deep relaxation, a spurt of learning activity and when we’re close to sleep. Understandably, Theta waves occur more often in children. Scientific studies have found that people who suffer from Attention Deficit Disorder (ADD) and Attention Deficit Hyperactivity Disorder (ADHD) can’t focus as well because of less activity of Theta waves. Healing – The body heals much more complete and much faster when you’re in the Theta state. Intuition – Who doesn’t want to have more acute intuition? You can work on improving your intuitive qualities with Theta waves. Confidence – Theta waves brings a sense of self-esteem to your brain. You’ll feel more confident about your skills and capabilities in a Theta state. Emotional Connections – Renew your enthusiasm about a relationship by experiencing Theta waves within binaural beats. Artists, writers and other creative people often have more Theta waves than others. They also experience a lack of creativity when they’ve been in the Beta state too long. Theta wave binaural beats are very effective for those who need to rid themselves of writer’s block or other creative roadblocks. The good news is that everyone is now able to experience more Theta waves by using binaural beats specifically designed to produce them.